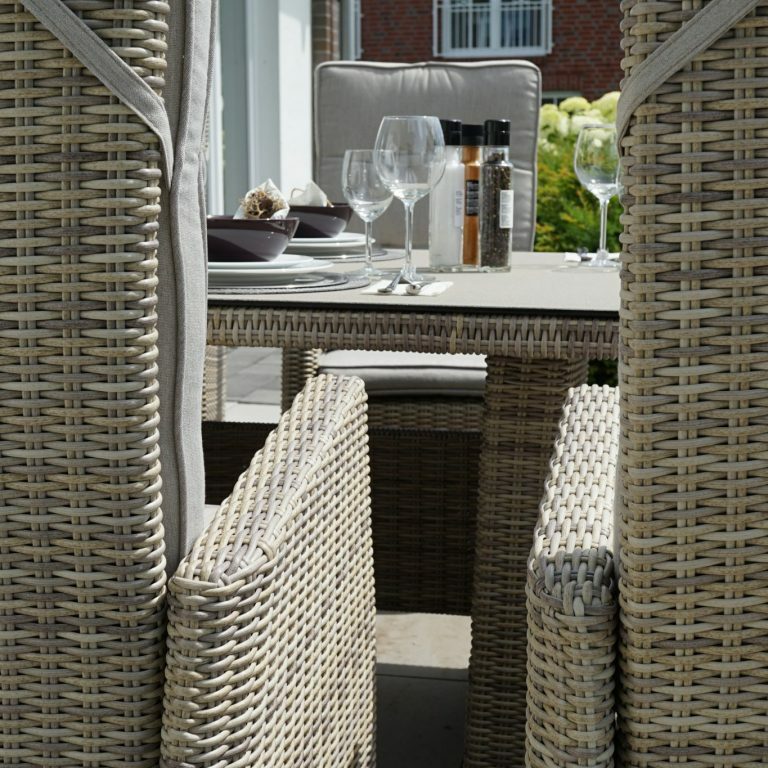 Garden furniture made of poly-rattan wicker is completely waterproof, absorbs almost no moisture, is UV-resistant and easy to look after – in contrast to natural rattan. Slight soiling can usually be removed with pure water and a soft sponge or cloth. Seating furniture made of poly-rattan looks particularly filigree when combined with solid teak wood tables. The strands of synthetic fibres are hand-woven onto the aluminium frames. The garden furniture owes its high quality to the time taken to make it, and the amount of material used. In contrast to flat wicker, double half-round wicker not only requires more material but also take a lot longer to make. Round wicker, with a loom design, is the most elaborate method of processing poly-rattan. Woven garden furniture by Ploß® is made by hand by experts in China and Vietnam. Ploß®’s woven garden furniture is stippled to provide as natural a look as possible. These mixtures of colours can lead to some variation in colour. 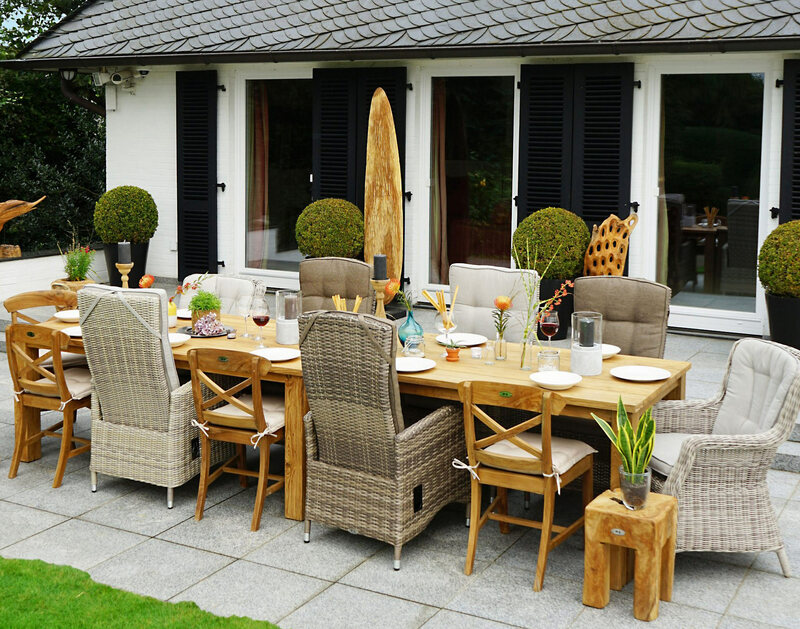 Garden furniture has to withstand a wide range of stresses and strains. Particularly weather conditions such as sunshine, rain and large fluctuations in temperature can put a strain on the furniture’s material. Natural rattan’s ability to withstand such conditions is very limited, so that increasingly poly-rattan is used instead, being distinctly more robust. However, the furniture also has to be visually appealing and fit into one’s own garden harmoniously. It should be practical and of course comfortable. To meet all these different demands, we use many different materials: both natural ones, like different types of wood, and hard-wearing synthetic materials. Hence natural-looking poly-rattan wicker is one of the materials that is for a variety of reasons popular in manufacturing garden furniture. Dirt particles caused by the weather can easily be removed with Ploß® “Universalreiniger”. Poly-rattan is made from polythene, the most widely used synthetic material, which is used for garden furniture, but also as a packaging material. In poly-rattan, the plastic is processed in such a way as to look like natural rattan. 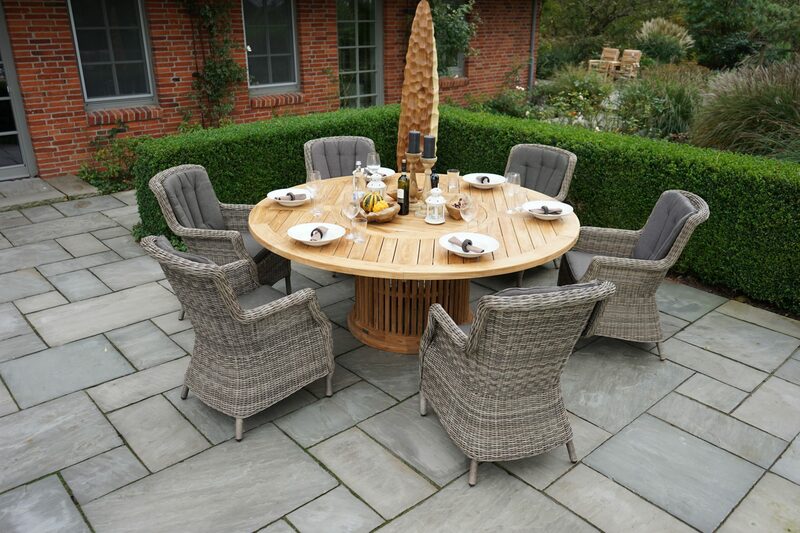 Poly-rattan has been used ever since the early 1980s, mainly to manufacture garden furniture. Today, poly-rattan is mostly produced in the Asian region, in China and Vietnam. In the 1990s, garden furniture made of poly-rattan became increasingly popular. The reason for this was the high-quality and classy look of garden furniture made from poly-rattan wicker, which does not look as though it is made of plastic. 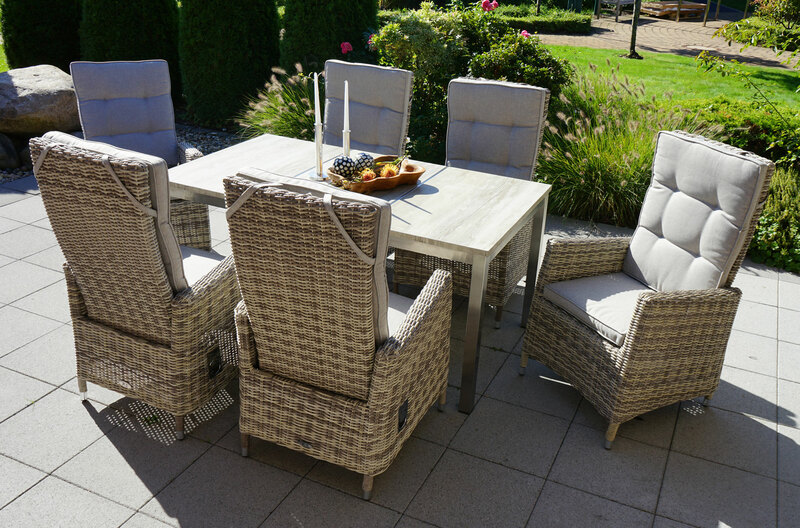 The advantages of poly-rattan wicker are self-evident: being robust and weather-resistant, it can withstand hot and cold temperatures and is characterised by a long lifetime. Thanks to it water-repellent coating, you can leave the garden furniture standing out in the rain without it coming to harm. The low weight of the furniture makes it easy to use: rearranging it or putting it in the cellar over the winter months does not require much in the way of physical strength. 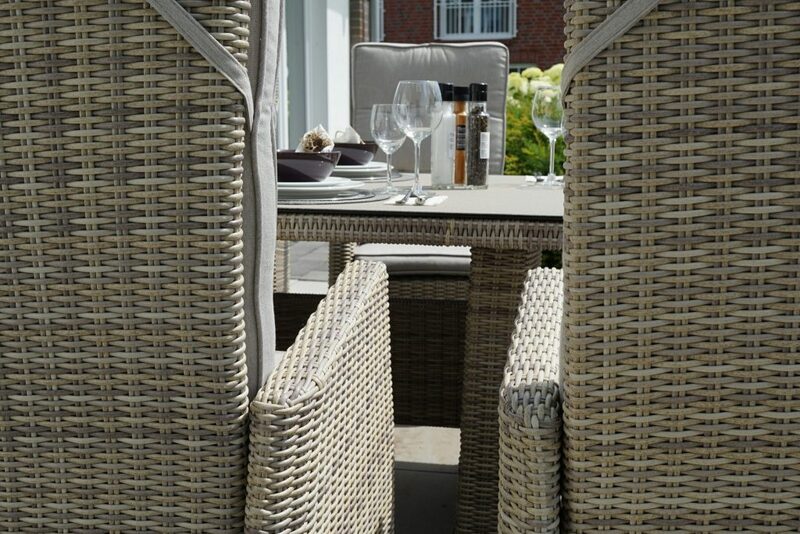 One of the biggest advantages of poly-rattan wicker over natural wood is that it requires much less care. Since it is water-repellent and easy to clean, you do not have to treat it with oil or impregnating spray. Light soiling can be removed with a cloth and water, while heavier soiling can be treated with mild detergents. However, care must be taken when using powerful detergents which can damage or destroy the material. 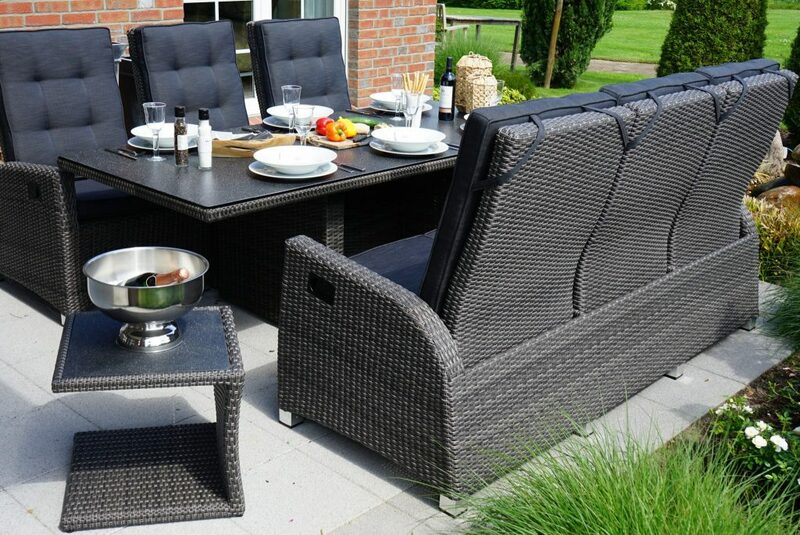 Garden furniture by Ploß® with wicker covers has an aluminium frame to make it particularly stable. This frame is covered with poly-rattan wicker to form the seats and backrests. The elasticity of the wicker makes this furniture particularly comfortable. Due to its robustness, the material can withstand heavy loads without giving way. Ploß® only uses the highest quality poly-rattan, which can withstand weathering and sunlight and therefore guarantees that your garden dreams will last many years. 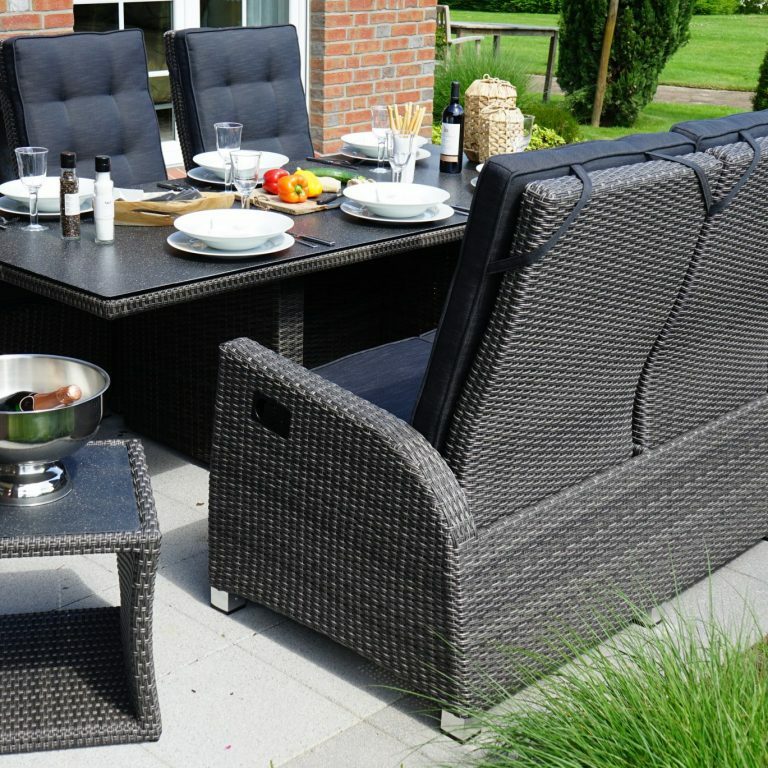 Since garden furniture is usually expected to have a natural look and feel, so that the furniture fits the garden, poly-rattan wicker that looks as if it were made of real rattan is in particularly great demand. However the look alone is not a quality criterion and does not tell you how durable the furniture is. A special quality criterion of poly-rattan is the close wicker of the fibres. It is crucial to use high-quality synthetic materials, which ensure a high level of fracture and UV-resistance. Differences in quality arising from this are the key to the large variations in price that may be found in garden furniture which might look very similar. When used normally, the material will last a long time and not show any signs of wear – guaranteeing years of pleasure from your new Ploß® poly-rattan garden furniture.